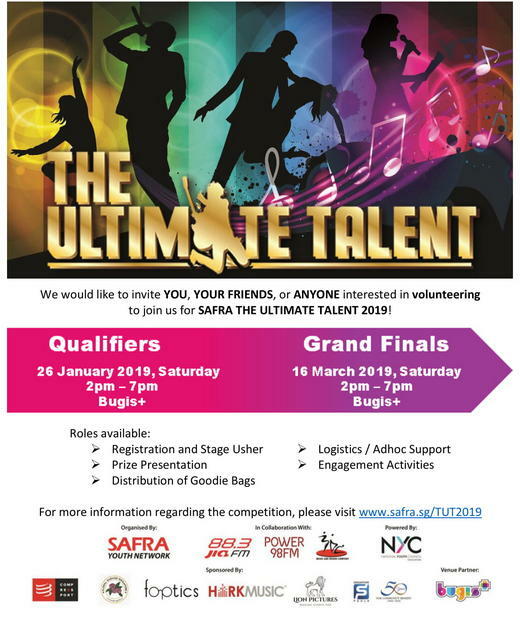 SAFRA The Ultimate Talent 2019 is a talent competition targeted at youths aged 17 – 35 years old who aspire to be singers, dancers, or hosts. The Qualifiers will be held on 26 January 2019, and the Grand Finals on 16 March 2019. For more information about the event, please visit www.safra.sg/TUT2019.